[E]urozone officials shot down any prospect of a quick resumption of talks, even though finance ministers were planning to meet during the week to discuss the fallout from the vote. German Chancellor Angela Merkel and French President Francois Hollande immediately scheduled a bilateral meeting. 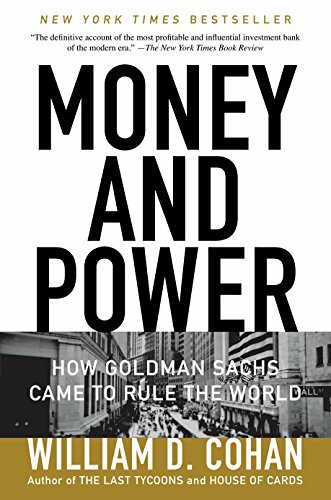 Money and Power: How G... William D. Cohan Best Price: $0.85 Buy New $9.87 (as of 06:55 EDT - Details) And yet, by mid-July, everyone was back at the negotiating table, and a deal had been struck. The new deal contained plenty of what the Greek voters said they didn’t want. Namely, austerity. On the other hand, the voters also expressed a desire to stay within the eurozone. Both goals cannot be realistically achieved at once, so, faced with this ambiguous and contradictory message from the voters, the Greek negotiators went right back to what they had been doing before. But, given that the European Central Bank had Greece over a barrel, there wasn’t much else the Greeks could do, short of withdrawing from the eurozone. As a means of squeezing the Greek politicians, the ECB had restricted emergency euro funds to the Greek banking system during the Greek crisis, so in order to stay in the eurozone, the Greek politicians were faced with two choices: close the banks or endure a full-blown run on the banks. 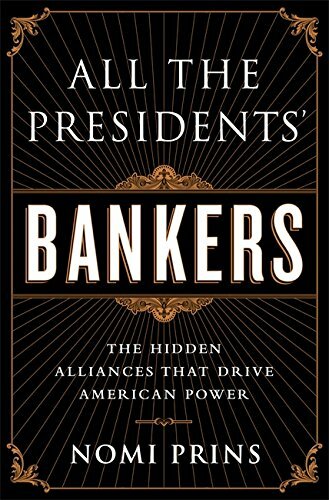 They opted for bail-ins and bank closures, with predictable results on the standards of living for the Greeks. Understandably, then, the Greeks have become cynical about their own elections, and realized that once you’ve committed your economy to the playground of European elites known as the eurozone, your local elections don’t mean much anymore. In reference to the upcoming polls, one Greek remarked “It’s just a pointless election.” Indeed it is, and countries with small and poor economies in Europe should get used to it. As a net receiver of EU funds, Greece handed over national economic policy and local control to a Europe-wide bureaucracy in exchange for freebies from the EU. So now their bargaining position isn’t exactly a strong one. 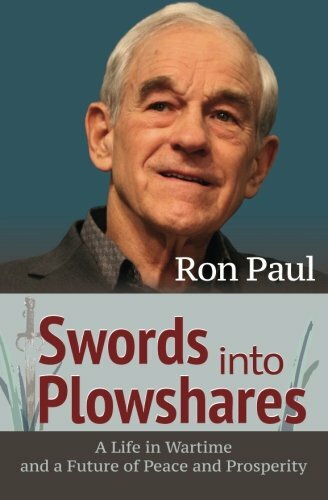 Ironically, the victory for the European creditors in the Greek crisis, and the demonstration of ECB power over a local political system, has Swords into Plowshares Ron Paul Best Price: $4.31 Buy New $15.99 (as of 02:55 EDT - Details) undermined the efforts by advocates for political unity in Europe. The recent deal has demonstrated that the negotiation process can work. For much of 2014 and early 2015, the media in Europe and the West in general had been calling for fiscal and political unity in Europe. In other words, they were calling for a strong central government in Europe that can simply force terms on misbehaving countries like Greece in order to avoid the need for tiresome negotiations. 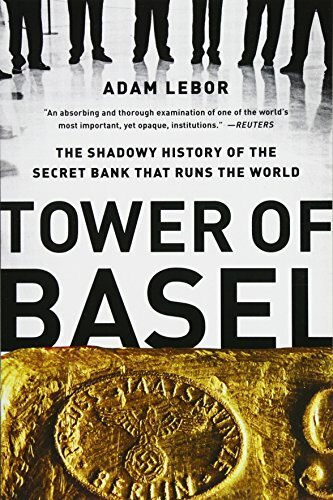 For example, as the Greek crisis intensified, Timothy Garton Ash in the Los Angeles Times contended that monetary union without political union is “tearing Europe apart.” Eduardo Porter opined in The New York Timesin February that “local politics” are undermining European unity. There is general agreement among media pundits in the West that Europe needs a way to mandateparticipation from local politicians in Europe-wide fiscal and economic schemes. The real goal, Ash contends inThe Guardian, should be “a proper federal union such as the United States” when the central government can take money from some states and hand it over to other states. At the same time, debtors can be directly compelled to pay up. Ash recognizes that this scheme is directly opposed to professed European ideals of liberalism and democracy, so Ash is sure to include a All the Presidentsu201... Nomi Prins Best Price: $7.99 Buy New $27.40 (as of 06:20 EDT - Details) disclaimer in which he notes “given the choice between democracy and a paternalistic, top-down, Euro-Leninis[m],” he’ll choose democracy. As pleasing as it is to see that Leninism is off the table, one is left wondering just how close to the Leninist line Europe ought to get in Ash’s mind. And Ash’s disclaimer tells us a lot. The call for European integration is fundamentally about coercion and transferring power away from local populations to the machinery of a central state where, as the IMF notes, it can create a system that no longer requires this cumbersome system of sovereign debt, negotiations, and repayment plans. Why do that when you can simply execute wealth transfer schemes with the touch of a button? Until it seizes that power, however, the European elites will have to rely on decentralized decision-making. As is so often the case, though, this sort of thing is denounced in the press and by politicians as a type of chaos. It’s the age-old call of the political centralizers: unity is strength, and decentralization is chaos. The fact that the Greeks and their creditors were able to come to an agreement undermines this argument. Clearly, what economic chaos in Europe exists cannot be blamed on too much independence for the Greeks who were easily brought under control by threats from European-wide institutions and by the machinations of the ECB. Apparently, European elites already have many tools at their disposal for forcing the hand of European-member states. Perhaps the need for political unity is really not so dire after all. 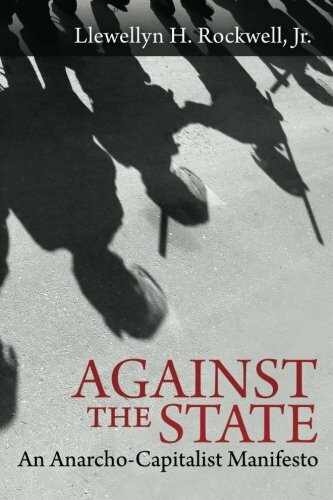 There’s already a whole lot of Against the State: An ... Llewellyn H. Rockwell Jr. Best Price: $4.43 Buy New $9.15 (as of 02:55 EDT - Details) it. But Greece is just a small country with a small economy. Were it to leave the euro, it would hardly spell the end of the eurozone. So, the real threat to European unity comes not from a Greek or Portuguese exit, but from a wealthy, net-payer state. Imagine, for example, that Mississippi seceded from the United States. As a net tax-receiver state, such a secession would hardly be noticed in the national economy or at the US Treasury. But imagine if New York, with it’s huge financial sector and immense income-tax revenues wished to secede. Obviously, that would be viewed by the national government as a grave economic threat. And so it is for Europe. Greece could be lost without much economic threat to the whole. The exit of a country like the United Kingdom or Germany, on the other hand, would be another matter entirely. And it’s this possibility of exit for these larger countries that has the IMF and other advocates for centralization most worried. The centralizers want the ability to easily compel transfer payments from wealthy countries to poorer countries. But, they know that this would generate opposition in the richer countries. The solution to this, of course, is to make sure and already have in place the coercive machinery that would prevent secession or resistance from the richer countries should they ever want out. Without the means of directly coercing member states in this new unified Europe, the central government will have to engage in the slow, tiring business of negotiations and give-and-take among members. That is, the central government would have to actually care about what voters and taxpayers in the member states think. But once they get their “proper federal union” (likely to include a prohibition on secession), the power of individual member states will be eviscerated, and the goal of a politically unified Europe — complete with a strong central government and weak member-state governments — will be at hand. Previous article by Ryan McMaken: Is There a Moral Argument for a ‘Living Wage’?